The AT&T MicroCell acts like a mini cellular tower, boosting cellular performance in your home or small business. Who pays your wireless bill? If you do, select Personal Account. If your company does, pick Business Account. You'll need your AT&T wireless phone number or username, along with your password. Don't worry if you haven't already set up your AT&T online wireless acount. Select the appropriate account type below and follow the step-by-step instructions for account setup. Yes, MicroCell service is available for use in your area. We're sorry, an error occurred while attempting to validate your zip code. MicroCell service is not available for use in your area. An error occurred while attempting to validate your address. Please check your zip code and address. We're sorry, we are unable to verify your address at this time. Please make sure your address complies with U.S. Postal Service standards. You may also purchase AT&T MicroCell at a conveniently located AT&T retail store. The address you entered is invalid or is missing fields. The address you entered was not found. Please select from one of the addresses below to verify your service location or enter a different address. *Applies only to current MicroCell owners. MicroCells are no longer available for sale through AT&T. address, and add multiple MicroCells to your account. Just select your account type below. Choose Personal Account if you pay for your wireless bill or Business Account if your company does. You'll need your AT&T wireless phone number or username, along with your password. Get quick and useful information on your MicroCell. Find videos, how-tos, guides, and FAQ below. What exactly is an AT&T MicroCell? How does it work? 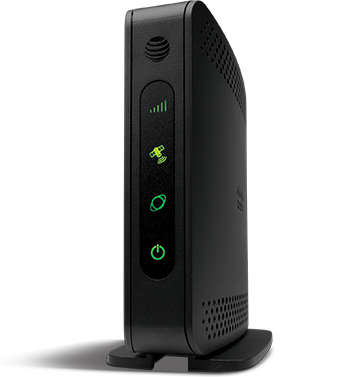 The AT&T MicroCell acts like a mini cell tower in your home and connects to your existing broadband Internet service. You receive improved cell signal performance for voice calls, texts, and cellular data applications like picture messaging and Web surfing. The signal range is approximately 40 feet from the base station (in all directions), or about 5,000 square feet. How do I buy a MicroCell if I don’t already have one? AT&T has discontinued sales of new AT&T MicroCells. You can use Wi-Fi Calling to talk and text over an active Wi-Fi connection where it’s hard for a strong cellular signal to reach. Learn more about Wi-Fi Calling. 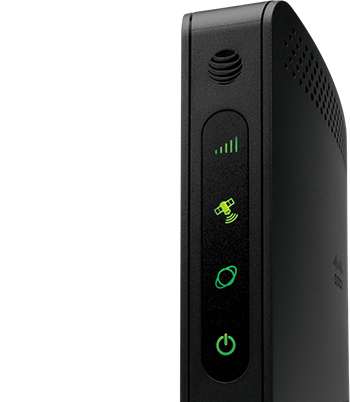 The AT&T MicroCell works with any broadband service, except wireless and satellite broadband, as long as it supports the minimum broadband speeds of 1.5Mbps downstream and 256Kbps upstream. It does not replace your existing broadband service. 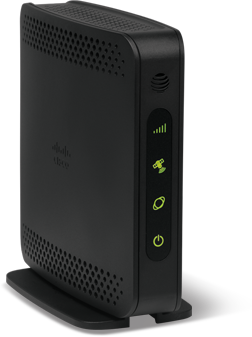 Will the AT&T MicroCell cause interference with my Wi-Fi router? No. Installed as recommended, there should not be interference between a Wi-Fi router and the AT&T MicroCell. Can I surf the Web with my PC while making a call with my AT&T wireless device that is connected to an AT&T MicroCell? Yes, you will be able to surf the Web from your computer while making a call. Can I use voicemail, text messaging, and data services on my wireless device when connected to my AT&T MicroCell? Yes, your basic mobile handset services from AT&T are compatible with the AT&T MicroCell. How many simultaneous calls or data sessions are possible with my AT&T MicroCell? Your AT&T MicroCell supports up to four simultaneous sessions. Can I use more than one AT&T MicroCell? Yes, they may be used in different locations or within the same location if 5,000 square feet of coverage is not sufficient. The devices should be placed at least 40 feet apart. If they are too close together, interference between the two devices could cause calls to drop. Should I use my AT&T MicroCell instead of Wi-Fi for data? No. Whenever available, Wi-Fi should be used for data applications like streaming video, downloading files, or surfing the Web. Wi-Fi is the optimal solution for mobile data use, and doesn't count against your AT&T wireless rate plan. Visit www.att.com/wifiaccess for tips on setting up and using Wi-Fi. When using 3G data services through your AT&T MicroCell instead of Wi-Fi, standard data rates apply. What kind of handset will work with the AT&T MicroCell? Any 3G or 4G-capable handset with AT&T wireless service will work on an AT&T MicroCell. You can't activate an AT&T MicroCell with a GoPhone®, but GoPhone users can be added as Approved Users. Handsets with other carriers' services will not work with MicroCell. Is the AT&T MicroCell compatible with devices like the Apple® iPad®, Kindle®, Nook®, Sony Reader®, or QUE®? Not at this time. Wi-Fi provides optimal Internet access for these non-traditional wireless devices. How is usage billed when using the AT&T MicroCell? Usage while connected to the AT&T MicroCell will count against your underlying wireless device rate plan. Do I get detailed billing on calls made over my AT&T MicroCell? If you currently have call detail billing with your rate plan, all calls, including calls made while connected to an AT&T MicroCell, will continue to have call detail available as usual. Can I grant access to my AT&T MicroCell to other people's phones? You may grant access to other 3G or 4G-capable handsets with AT&T wireless service, up to a total of 15 lines. Handsets with other carriers' services will not work with AT&T MicroCell. Can I restrict access to my AT&T MicroCell? Is it secure? Yes, you can restrict access to your AT&T MicroCell. 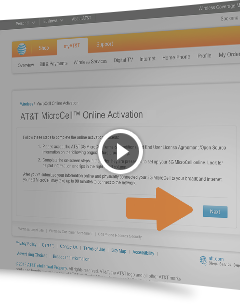 Only those added by you to the Approved User list will have access to your AT&T MicroCell. All others are restricted. Do calls started on one AT&T MicroCell "hand over" to another AT&T MicroCell if I move out of range of one and into range of another? No. Calls will not hand over between two AT&T MicroCell devices. If I start a call on the AT&T MicroCell and leave my home, does the call continue uninterrupted? How is the call billed? 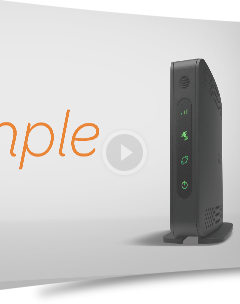 Yes, calls seamlessly transfer from the AT&T MicroCell to the strongest AT&T cell tower signal. Billing will continue based on the initial connection being placed on the AT&T MicroCell. If the call is dropped and redialed on the cellular network, then the call is billed against your wireless device's AT&T rate plan. If I start a call away from my AT&T MicroCell and then come within range, does the call move to the AT&T MicroCell? No. Calls initiated on a cell tower do not transfer to the AT&T MicroCell. Can I prevent the AT&T MicroCell from handing my call out to a cell tower? Yes, you can manage automatic hand-out from the AT&T MicroCell to an AT&T cell tower. See how to manage your AT&T MicroCell for details. Once you have disabled the hand out, if you begin a call on your AT&T MicroCell, you will need to stay within range of the AT&T MicroCell in order to avoid a dropped call. Is there any way to reduce the frequency of dropped calls when I walk around my home? What should I do if I don’t need or want to use my AT&T MicroCell any longer? To disconnect your AT&T MicroCell, unplug your MicroCell from the broadband router and the power source. Then, go to the Manage Settings tab on att.com/microcell. Sign in to your account and select Disconnect Your MicroCell Device. Please note that if your MicroCell isn’t connected and used for over one year, AT&T may deactivate your MicroCell. You can reactivate your MicroCell at any time. Does AT&T MicroCell support E911? Yes, E911 services are supported. You must keep the address where the AT&T MicroCell is physically located up to date in order to ensure the proper location is available to emergency personnel. Is AT&T MicroCell service, including E911, available during power outages? No. AT&T MicroCell service is not available when either electrical service or your broadband service is unavailable. In the event of a service disruption, you will not be able to access E911 service using your wireless device unless you have service on the AT&T wireless network. The AT&T MicroCell unit includes a GPS device that enables the unit to identify its location. The AT&T MicroCell will not work until it has identified its location. If the AT&T MicroCell is moved to a new location, it is important that instructions for updating the device location are followed to enable E911 service to function properly. Can I move my AT&T MicroCell and use it in another location? Yes, you can if AT&T MicroCell is available in your area. Visit att.com/microcell and select Check Availability to confirm. If available in your new location, sign in to your account to change your physical address. What is the warranty on the AT&T MicroCell? AT&T MicroCell has a 12-month limited warranty. 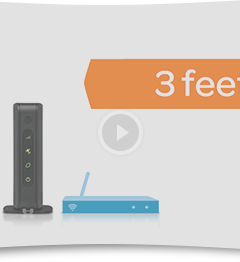 AT&T U-Verse ®, DSL, or cable required. Not compatible with satellite broadband. Recommended Internet Speed: Minimum speed is 1.5Mbps download and 256Kbps upload. Recommend 3Mbps download and 384Kbps upload for heavy data users. Check your Internet speed. Install device in a sheltered location with a temperature range of 0 degrees to 38 degrees Celsius (32 degrees to 100 degrees Fahrenheit). Installing near a window is strongly recommended to ensure access to Global Positioning System (GPS). A GPS link is needed to verify the device location during initial startup. MicroCell unit may be moved if new location is within an AT&T authorized service area and properly registered online. Calls transfer out, but do not transfer in. 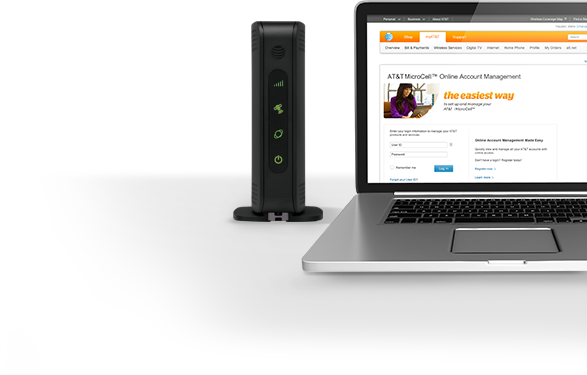 Calls transfer from the AT&T MicroCell to the strongest available AT&T tower signal. Calls connected on the cell tower do not transfer to the MicroCell. Firewall Specifications System Administrators (Business Customers):Installing the MicroCell behind a firewall, or behind a router with firewall capabilities, requires the following ports be opened to prevent the firewall from blocking communication with the network. This type of installation is typically found in corporate environments. 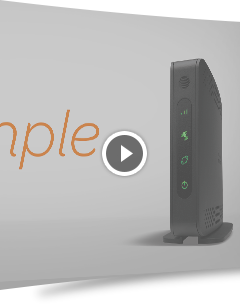 MicroCell works with most broadband service providers, including AT&T broadband. For best performance, minimum speeds of 1.5Mbps downstream and 256Kbps upstream are recommended. Satellite and wireless broadband are not compatible. Use Wi-Fi Calling to talk and text over an active Wi-Fi connection. Wi-Fi Calling lets you talk and text from indoor locations where it's hard even for a strong cellular signal to reach. *Wi-Fi is the optimal solution for home mobile data use, and doesn't count against your mobile data usage bucket. 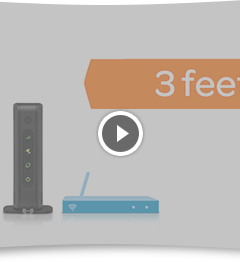 Visit www.att.com/wifiaccess for tips on setting up and using Wi-Fi. When using 3G data services through your MicroCell instead of Wi-Fi, standard data rates apply. MicroCell operation requires an AT&T 3G or 4G wireless device and Internet access service of at least 1.5Mbps downstream/256Kbps upstream. Device not compatible with satellite broadband services. Not intended for sale or use in homes or areas with strong wireless signal strength. Strong wireless signal strength may adversely affect MicroCell performance. For use with AT&T wireless devices only; not compatible with other wireless systems. Usage generated by MicroCell counts toward your wireless data usage plan limit and may be subject to applicable charges from your ISP. The maximum coverage of the AT&T MicroCell is approximately 40 feet. Actual coverage will be limited by the density of obstructions. Calls will transfer to a cell tower if you leave the MicroCell coverage area, but calls may drop if you return to the MicroCell coverage area. See AT&T MicroCell Service Agreement/Terms and Conditions for a full list of terms and conditions.